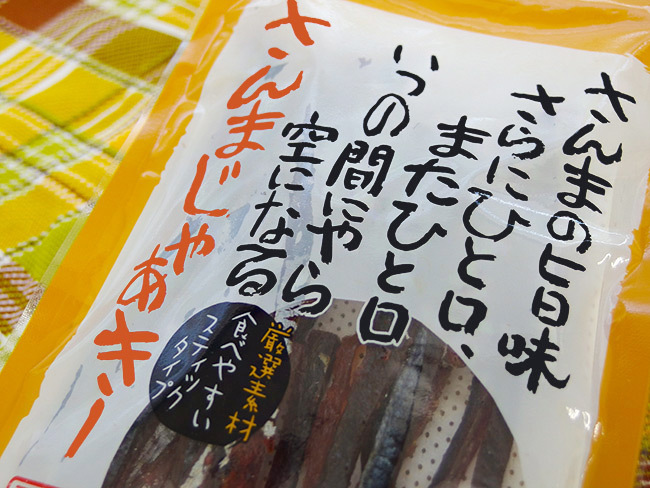 Though it is possible, it is the very rare delicacy using the too strange saury! I finished the saury which I rode of the fat fished off Hokkaido Eastern Hokkaido that was famous for a saury in a smoked flavor. It is the delicious delicacy which the taste of the saury comes out to so as to chew if I chew. I pickle it luxuriously in 燻液 and am a dry delicacy slowly and carefully. Of course it is the delicacy which is good to the snacks of the child to liquor with a taste from the back! The fishery of the saury is from August to October. A school of sauries makes an excursion while eating zooplankton, but a warm current intersects a cold current off Eastern Hokkaido of this time, and high bait of the nutritive value inhabits in large quantities. I eat the bait, and there is fat, and plumply fat sauries are landed. At the end in October, the saury goes south, and a fat content gradually falls from that time, and it is to the saury that the dimension is different from the saury produced off Eastern Hokkaido. Therefore a saury produced off Eastern Hokkaido is delicious and is famous. Kushiro-shi located the east of Hokkaido is the town which has a famous sightseeing spot globally such as Kushiro moor and Lake Akan. 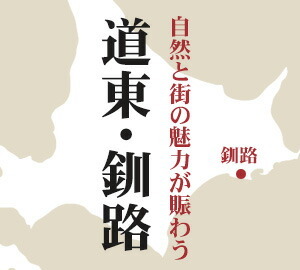 A river and a mountain are picked up well, but, in the Kushiro-shi fishing port where there are the fishery products off Eastern Hokkaido where a saury is famous for richness, not only the saury but also many kinds of fishery products are landed. And I can enjoy it as the market of Kushiro is famous as one of the Hokkaido three size markets, and there is a rare product not to see in this "さんまじゃぁきー" and others such as the salmon clause too much a lot, and various kinds are shipped to the crab of the extreme popularity by a hairy crab and a snow crab, king crab and Hanasaki queen crab and time even if I go to visit it how many times. 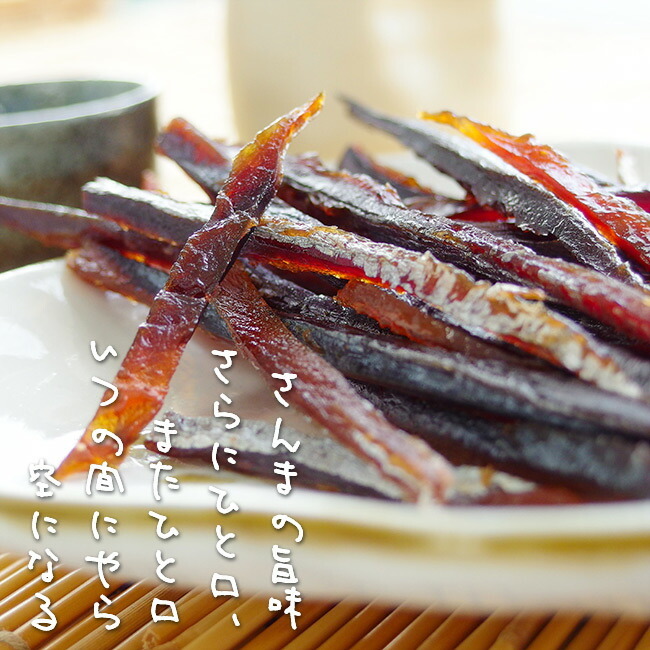 DHA (docosahexaenoic acid) is included in a saury abundantly. It is included particularly a lot in the blue-skinned fish such as a saury and the sardine in the ingredient which is included a lot in a fish. This is because DHA (docosahexaenoic acid) is included in richness as a reason to say to eat a fish for health. The nutrient included in the saury is EPA, DHA, vitamin A, vitamin D, vitamin E, vitamin B2, calcium, iron content. 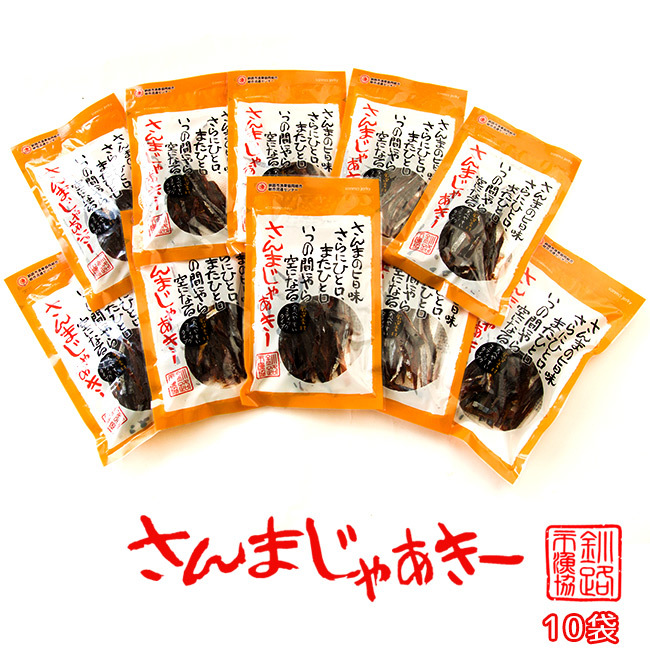 Because the nutrient of the abundant kind is included, only this may be most suitable for や, the child of the period of rapid growth for health. And I can take in a rich nutrient deliciously as I can willingly and easily eat this "さんまじゃぁきー". Even fishphobia Naoko says that possibly it is delicious and may eat? 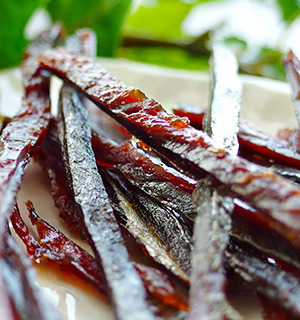 There is a reason as well as because the secret of the taste of "さんまじゃぁきー" is a saury fished off Eastern Hokkaido and pickling it to smoking liquid slowly and carefully, and having been dried. It is a shape. It becomes into a stick form when I pay attention and it is easy to have and becomes easy to eat. Furthermore, the saury is handled in spite of a fish with many skin and bones carefully. Therefore it is the delicacy which I can eat more deliciously. As there are other a lot of delicious delicacies, please see it! 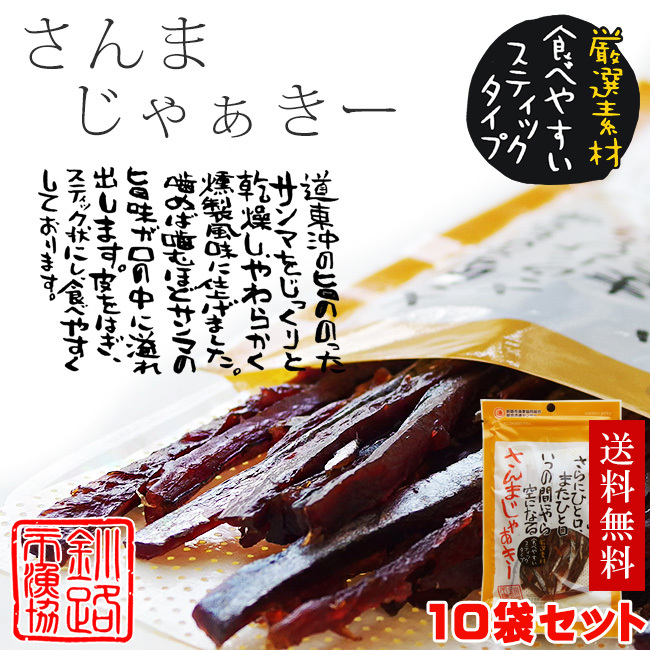 Is it the jerky of the saury? The word "さんまじゃぁきー" is a too unfamiliar word. Speaking of a jerky, beef jerky is famous and I hear it as a preservation meal well, but am right unusually a rare article when it becomes the jerky in sauries. 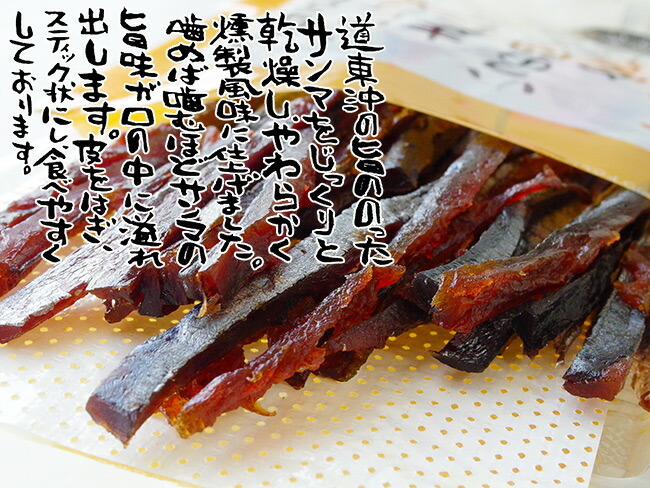 Originally, with jerky (JERKY), an American indigenous people dried meat as a preservation meal. An idea making using a saury not meat is Hokkaido ならではです! 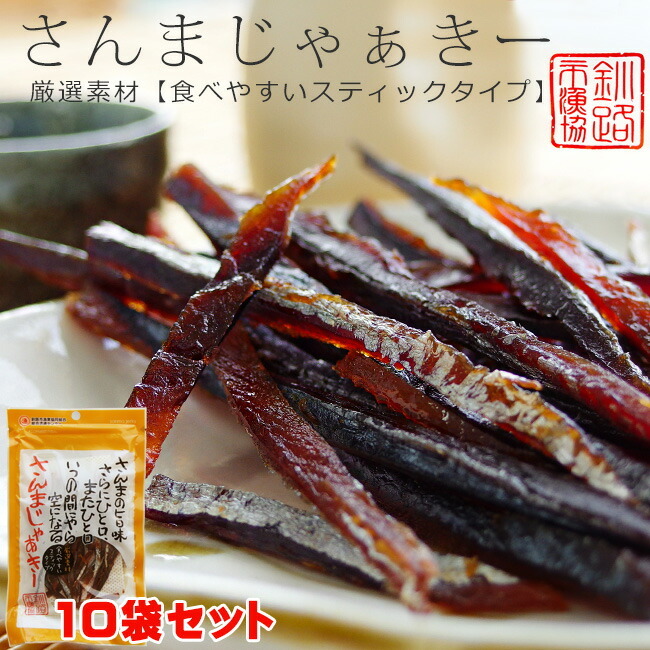 The taste of the saury spreads in a mouth full and is really good to liquor and tea cake as it is thick seasoning! As the delicious grease of the saury fully leaves "さんまじゃぁきー", a hand becomes dirty by all means. For a countermeasure, you eat with chopsticks and when you eat by hand, you prepare a wet tissue and should eat. The taste of the saury fully taste it and, in accord with liquor, is such superior delicacy "さんまじゃぁきー" which is good for health. The taste of the saury, にやら becomes a mouthful a mouthful in the sky again more during when. The fishery of the saury is from August to October. A school of sauries makes an excursion while eating zooplankton, but a warm current intersects a cold current off Eastern Hokkaido of this time, and high bait of the nutritive value inhabits in large quantities. I eat the bait, and there is fat, and plumply fat sauries are landed. At the end in October, the saury goes south, and a fat content gradually falls from that time, and it is to the saury that the dimension is different from the saury produced off Eastern Hokkaido. 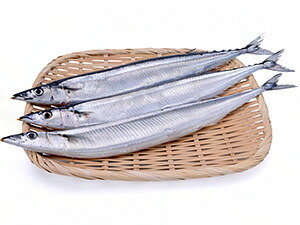 Therefore a saury produced off Eastern Hokkaido is delicious and is famous. 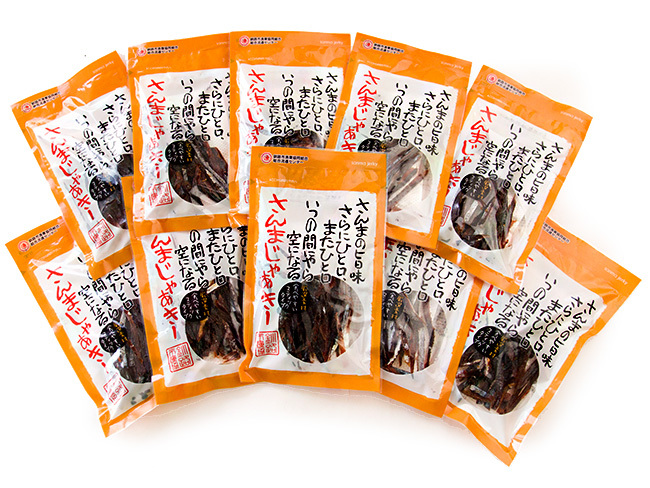 DHA (docosahexaenoic acid) is included in a saury abundantly. It is included particularly a lot in the blue-skinned fish such as a saury and the sardine in the ingredient which is included a lot in a fish. This is because DHA (docosahexaenoic acid) is included in richness as a reason to say to eat a fish for health. 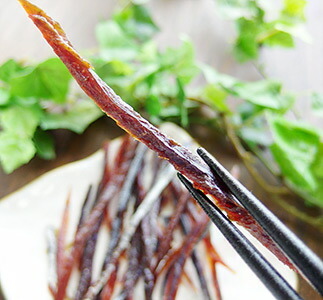 There is a reason as well as because the secret of the taste of "さんまじゃぁきー" is a saury fished off Eastern Hokkaido and pickling it to smoking liquid slowly and carefully, and having been dried. It is a shape. 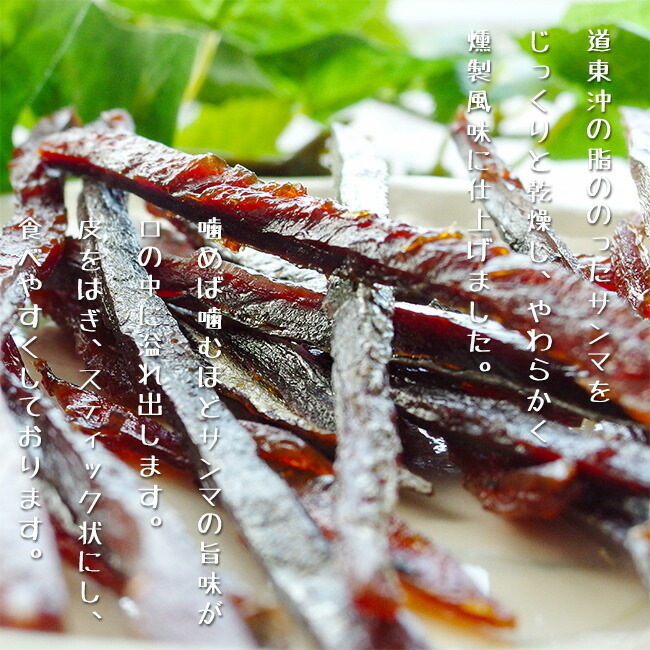 It becomes into a stick form when I pay attention and it is easy to have and becomes easy to eat. Furthermore, the saury is handled in spite of a fish with many skin and bones carefully. Therefore it is the delicacy which I can eat more deliciously. Please have it after opening early. As a small bone and a scale may be left to this product in the body, please be careful about lips. In addition, the fat left in the inner package is harmless with the thing which went out of the product. Please be careful not to pollute the clothes when you have it as it is a product with much fat. I enclose deoxidant to keep the freshness. I cannot eat the deoxidant. In addition, please avoid the use of the microwave oven. Please avoid direct rays of the sun, a high temperature and humid place.